Plenty of new movies are hitting arthouses. Two prime players platformed high-profile films, but neither Sundance opener “The Mustang” (Focus Features) nor “The Aftermath” (Fox Searchlight) passed the $20,000 per-theater average that stands as a minimum gauge for long-term specialized success. Like last week’s opener “Gloria Bell” (A24) — which expanded decently this weekend — both are aimed at the older demo who can be counted on to turn up in theaters as films broaden. With the awards season in the rearview, it’s been a while since so many quality subtitled films are on display at once. Sure, an Oscar nomination helps to brand a foreign-language film, but several movies are holding their own anyway, especially starry family drama “Everybody Knows” (Focus), headlined by Javier Bardem and Penelope Cruz. Like last year’s “The Sisters Brothers,” this English-language drama set in the (contemporary) American West is actually a French production. Belgian actor Matthias Schoenaerts plays an angry, isolated Nevada prison convict who learns to tame wild horses. Laure de Clermont-Tonnerre’s well-reviewed film took the top spot in respective Landmark cinemas in New York and Los Angeles. What comes next: The film will quickly expand to about 50 theaters this week. 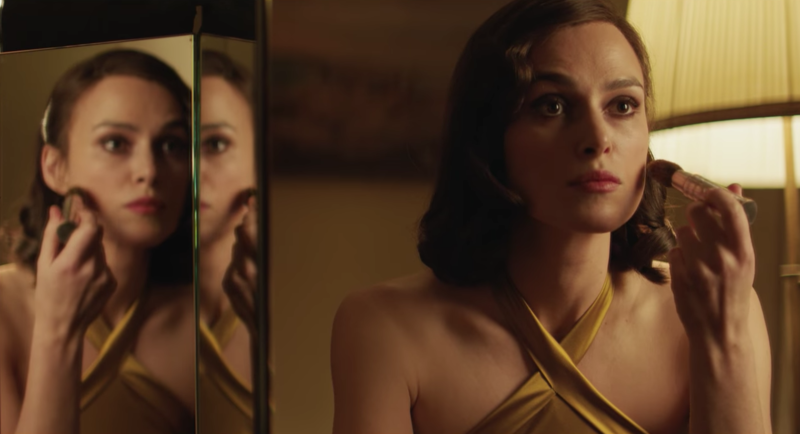 Star power couldn’t overcome low-end reviews for James Kent’s post-World War II love triangle about a British official (Jason Clarke) and wife (Keira Knightley) taking over the home of a German architect (Alexander Skarsgard) as both families cope with loss. This marks the final release by the very successful Fox Searchlight before it continues as a separate unit under Disney ownership. What comes next: This could still pull support from older audiences as it gets the usual high-end handling from its distributor. Jia Zhang-ke is a contemporary cinematic master, but has never gained the status of a mainstream domestic arthouse auteur. His latest film has scored a more elevated release, including an atypical booking at Los Angeles’ prime Arclight Hollywood (where it ranked #5 for the weekend). Predictably New Yorkers supported its two best runs, and the film also performed in San Francisco. These are respectable initial numbers for such a rarefied film, but don’t suggest wider interest. What comes next: Cohen will push this into other top cities per its usual support of high qualities films. 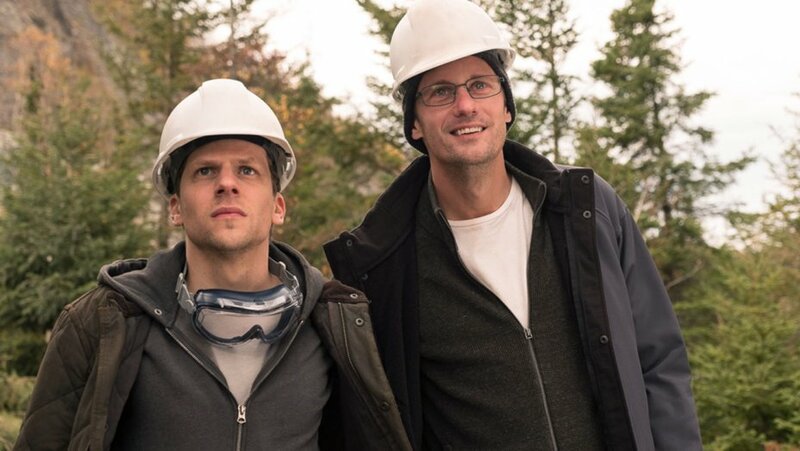 With strong New York/Los Angeles theater placement and three major names (Jesse Eisenberg, Alexander Skarsgard, and Salma Hayek), this Wall Street-set thriller weathered mediocre reviews to get some sampling in its initial theaters. What comes next: Additional top cities add this Friday, with a wider release on April 5. This documentary about a photographer who develops PTSD after his own reaction to wartime experiences played in several cities to complement its home viewing premiere this weekend. It placed second to “Free Solo” over the weekend among ITunes documentaries. What comes next: Mostly non-theatrical viewing. Following its strong recent platform openings last week, this remake of the Chilean “Gloria” with the same director and Julianne Moore in the role of a middle-aged woman breaking loose socially continues to show interest. Its appeal to a post-awards older audience, with fewer options at the moment, should help propel it to more positive results as it expands wider. Vincent D’Onofrio’s Western with Ethan Hawke and Chris Pratt dropped just under 50 percent its second weekend in limited national release. Over $13 million has been added to the Best Picture-winner’s gross since Oscar night. That’s a decent result despite home availability. “Green Book” marks the biggest after-victory result in many years. This well-reviewed visually stunning film featuring restoration of the footage from the first moon landing added theaters again, with decent results which though not at the level of its initial IMAX-only locations still show real interest and likely further growth ahead. This Dwayne Johnson-backed biopic of an English pro wrestling family is getting a decent result with support for very wide play. But its per-theater response at this point is minor. Gaspar Noe’s bravura wild party experience is getting a quick wider push. The results aren’t close to the initial positive limited-release reaction. Iranian director Asghar Farhadi’s Spanish film could hit $3 million. “The Salesman,” which won the Foreign Language Oscar two years ago, only did about half as much. Stars help. Michael Winterbottom’s India thriller starring Dev Patel expanded to mixed results in its third week. Olivia Colman’s Best Actress win propelled Yorgos Lanthimos’ historical romp to an extra $2 million-plus in gross — even though it’s parallel to home-viewing choices. Continued interest late in its run for this Laurel & Hardy comeback attempt biopic. This significant expansion of Christian Petzold’s well-reviewed romantic thriller about a political exile is keeping pace with the successful “Shoplifters” a few months ago. Mads Mikkelsen’s post-plane crash fight for survival wraps up its modest run. This Colombian decades-spanning story of the drug trade’s impact on an indigenous community has gotten reviews near the best of any release this year. But in a crowded post-awards field it continues to struggle to get the response it deserves. Though only a small fraction of the director’s very successful “The Lives of Others,” this three-hour German Oscar-nominee will soon become the latest subtitled release to pass the $1 million mark. That has been rare of late. Nearing the half year mark of its theatrical run, this Oscar-winning documentary is still adding to its terrific total.